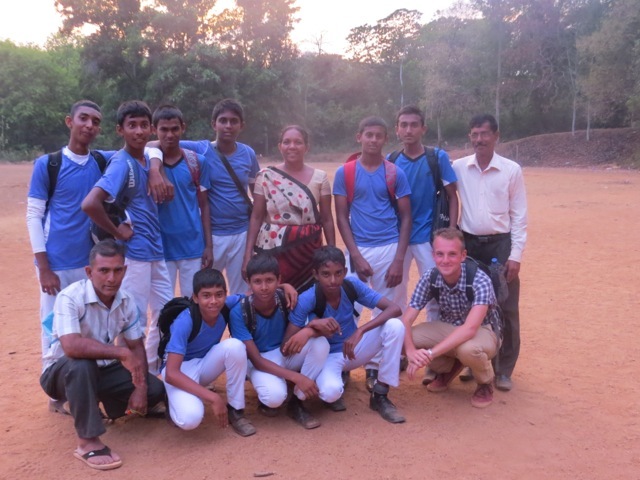 Jake has just completed a 6 month placement in Sri Lanka where he was volunteering in a secondary school run by the government, Jake set up a football team when he was out there and here he updates us on taking his teams to a tournament and how they got on, check it out, it’s a great read! It was held at the central college, so basically a grammar school, who have lots of money. They’re the kind of schools who play football, not government schools like mine. So we entered a girls team, under 15s and under 17s. The key to this story is, the 3 months of training the kids had received, compared to the extensive amounts of training for the other teams! So first the girls team. Five girls turned up in matching kit, which was great, unfortunately the other girls arrived in skirts, t-shirts and school shoes. We were playing a team dressed in matching kit, names on their backs, and they were also the hosts of the competition, so we lost 2-0. STILL. 2-0 against a team of girls who play all the time is great, and the girls were really proud! What is even better is, after this, we had training of Saturday, usually we only got 3 or 4 girls to training… There were 9 girls there, so I think we’ve got them interested! Next was the under 17s. 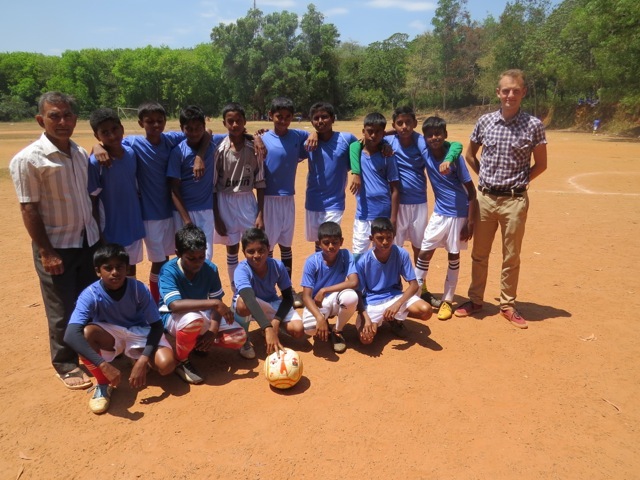 They’d all got matching kit on, which lended to the creative chant of Pallewela Blue and white Army, but we unfortunately drew against the hosts; again in their kit with the names on the back, and they had been training together since they were 11. The boys were nervous, you could see, and the first half was, get it away from the goal. This worked, surprisingly, as we entered half time 0-0. The second half they picked it up a bit, passing it about, trying and succeeding at taking players on, and generally just enjoying themselves. At the end, they had a chance to win it, but the ball was just a little too heavy, and it ended 0-0. This meant penalties, and with an English coach attached, this could only mean one thing, as they unfortunately suffered a 3-0 defeat on penalties. Basically England ALWAYS lose on penalties at any major tournament. But this is where the story picks up. The under 15s team. So their first match was against another government school. We were all over them, picking it up from deep and working up the pitch. Unfortunately, after huffing and puffing, we just couldn’t find the breakthrough. Defensively, we were awesome, but we just had not done a lot of shooting in training. It finished 0-0. YET. This did not spell disaster. Our goalkeeper saved all but one of their penalties, us scoring 3, sending us into the semi finals. I was happy to stop there. How silly of me. We drew a central college. 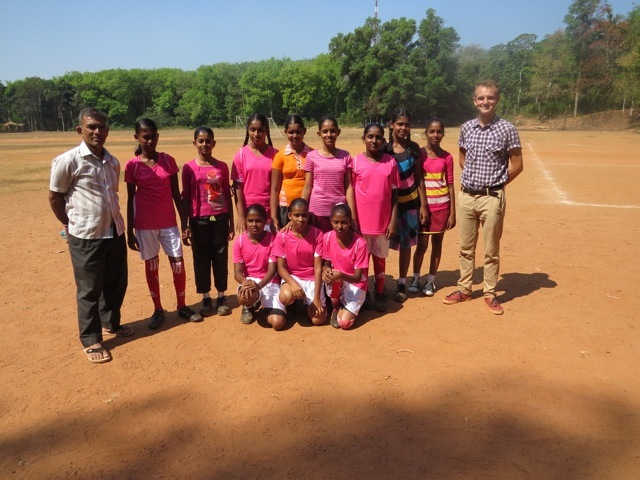 Pasyala central college, clad in their Manchester United matching jerseys. And it was a midfield battle where all training went out the window, one team got it and hoofed it, and vice versa. It was a nervy, drawn out affair, comparable to watching Stoke vs Crystal Palace; no real talent. It finished 0-0. We thought, we’ve rode our luck. Our keeper wasn’t thinking that, as he saved another 4, us scoring 2. THE FINAL! Our first tournament, our first competition, to the final! I will never, ever forget that feeling, having 11 kids, sprinting after scoring the winning penalty, straight to me and giving me handshakes galore and shouting SIR WE WON WE WON! It was incredible! Ah the final! The story of beauty turned to woe. That old nemesis, the hosts awaited us in the final. It was all going smoothly. Until one of the kids, the consistent midfielder got a red card. 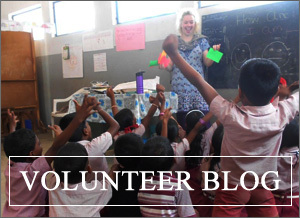 We were bewildered, we hadn’t seen anything, until we realised he said a bad word. So basically he shouted the F word and got sent off. So from the freekick they got, they took the lead. Only for 2 minutes later it to go to 2-0. Half time team talk, this was the moment. I took them in, they were saying, sir Kassum crazy, stupid blah blah. I just said, what are you going to cry about it, get on with it. It happens. Enjoy, have fun! And they did. Not another goal went in, and we came second in our first ever tournament. Honestly, there was no greater feeling than that. It was such an emotional day.